In the study, virgin, or nulliparous, rats were exposed to foster pups each day until they began to exhibit maternal behavior, including crouching over the young, grouping them or retrieving them back to the nest. Data from the study showed that the nulliparous rats exposed to pups have increased numbers of new neurons. The research was undertaken by Cummings School Department of Biomedical Sciences researchers Miyako Furuta and Robert Bridges, who is the head of the Cummings School’s reproduction and neurobiology section. Previous research has found that exposure to young can stimulate maternal behavior not only in rats, but also mice, hamsters, monkeys and even humans. Increased creation of new neurons, or neurogenesis, has also been shown during pregnancy and lactation in rodents and associated with maternal behavior, but studies analyzing neurogenesis in nulliparous animals exhibiting maternal behavior had not been done. The area of the brain that was the focus of the present study was the subventricular region— a region involved in the production of cells that affect odor recognition and possibly recognition of young. Bridges and Furuta found increased numbers of new neurons in the subventricular zone in adult, nulliparous rats that behaved maternally compared with numbers in subjects that either were not exposed to young or exposed to young, but did not behave maternally. What stimulates increased new neuron production in the nulliparous mothers is not known. One possibility is that the hormone prolactin, which stimulates both the onset of maternal behavior as well as production of neurons during pregnancy, may play a role in the production of new neurons in nulliparous females exhibiting maternal behavior. However, this possibility remains to be investigated. A second possibility is that stimulation received from the young themselves may, in fact, play a crucial role in stimulating maternal neuron production. 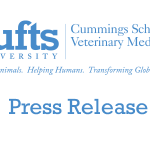 As with all scientific studies, these findings trigger more questions than answers, said Dr. Robert Bridges, section head of reproduction and neurobiology at the Cummings School of Veterinary Medicine. Next, we hope to determine what role this neurogenesis plays in terms of the female’s behavior and physiological processes. Where do these new cells migrate to within the brain and what do they do? For example, do they affect how a female subsequently perceives her young through recognition of baby odors? These are the questions we hope to answer. The study was funded by a National Institutes of Health grant. 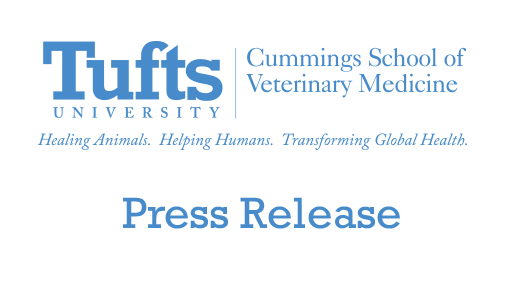 In addition to clinical research, the Cummings School of Veterinary Medicine at Tufts University receives National Institutes of Health funding for basic science research in four major areas: Bridges’ reproduction and neurobiology section, infectious diseases, pulmonology and liver/gastrointestinal function. For more information, please visit the Research section.